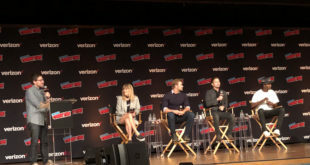 The cast and executive producer of Fox’s The Exorcist took to New York Comic Con Thursday afternoon as the series previewed the upcoming episode at Hammerstein Ballroom. The Workprint caught up with executive producer Jeremy Slater to discuss the adaptation process from film to TV and what fans can expect from upcoming episodes. Question: What has your role in the series been? Slater: I’m a life-long horror fan. I saw the original Exorcist as a child and it traumatized me for weeks. When I heard they were turning The Exorcist into a TV show and they were looking for a writer… I said, “That’s a terrible idea. Please don’t do that. You’re never going to be able to tell that story better, you’ll only be able to tell it longer.” I went to the right’s holders and aggressively pitched, “You don’t want to tell the same story about Regan and Father Marin and Caris, you want to tell a brand new story with a brand new group of characters that takes place in the same universe, but forty years later.” You’re not writing the original film out of existence. You’re not saying this story never took place, you’re just exploring what demonic possession looks like in 2016. What does an exorcism look like after watching exorcisms in pop culture for 40 years? What is it like following an American family over the course of ten hours and watching them fall apart when they are attacked by this supernatural force as opposed to trying to cram all that into 90 minutes. Those were kind of the things that appealed to me and drew me to the project. Question: What was the process behind crafting the two priests? Slater: We knew we wanted two priests, obviously a young and an old. There was no appeal in using the same exact archetype so we had to look for new ways that we could spin these characters. Also what’s appealing about this character where you can tell stories about him just not for ten episodes in this first season, but maybe for six or seven season if this show is a hit. What makes this someone you want to follow on a journey? The idea of creating a Father Marcus who is sort of a James Bond figure. He’s very much a man without a country, a soldier of fortune, someone who the Catholic church has turned their back on in a way. He is their dirty little secret that they are trying to forget. He’s kind of gone rogue a little bit, he’s living off the grid and continuing this fight. And then contrasting that with someone like Tomas, who is basically your perfect priest. He’s compassionate and someone you’d trust with your deepest darkest secrets. All he wants to do is help the people around him, but at the same time, he is dangerously naive. He doesn’t believe in these things. If you come to him and start talking to him about demonic possession, he’ll tell you the concept of demons are metaphors. These aren’t actual, physical tangible beings to be afraid of. Obviously, Tomas is learning very quickly that he was wrong about the world. So he can serve as an entry point to the audience and serve as our eyes and ears as we are introduced to this world. Question: What will the season structure for The Exorcist look like? 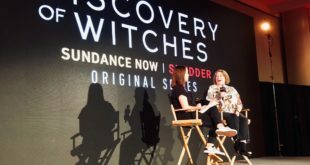 Slater: My original pitch was that every season would be a self-contained story from beginning to end. It’s not an anthology show like American Horror Story where it resets. The characters who survive this first season, you’ll see them again hopefully in future seasons. It is an on-going story. I wanted every season to be its own case. I think if you try to do The Exorcist as a monster of the week show, every week they are doing another exorcism, halfway through the season you’d be out of story to tell. Marcus and Tomas would be off investigating the New Jersey Devil or UFO sighting. It would turn into another X-Files clone and the world has enough of those. The goal was to make sure the first season has a beginning, middle, and end so by the end of the season you would get a definitive answer to the possession of Casey Rance. If audiences respond, we’ll see where to go from there if we are lucky enough to get a second season. Question: A lot of exorcism in pop culture revolves around Christianity. Do you ever look at other religions? Slater: We do and that is actually something that will be explored more going forward. 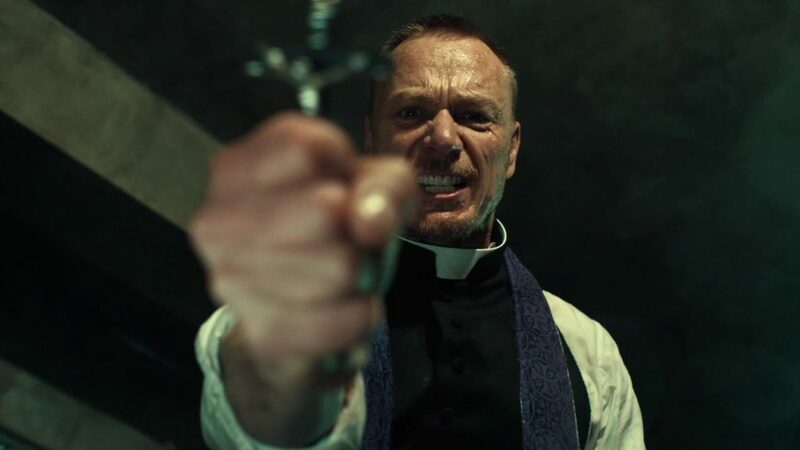 In episode four you will see an exorcism performed by someone who is not a Catholic priest. We are going to start expanding that world. The mythology of our show is that there is a secret war going on. Evil has already invaded, they are already among us. They have their own plans and agenda. That’s not an evil that is focused on fighting one religion. It’s good versus evil. As the show goes on, I think that is part of the fun. What does an exorcism look like if it is performed by a Santa Maria priest, what does it look like if performed by a nun or a Buddhist monk. Do these different religions have different methods of fighting the same thing and can our heroes draw from them to improve their skills? To me it gives you the ability to tell new sorts of stories. The Exorcist airs Fridays on Fox at 9pm EST.